I recently needed a project to knit while travelling to and from Sheffield for my Grandparents’ Diamond Wedding Anniversary. All of my WIPs were at boring stages so I decided to cast on something new. 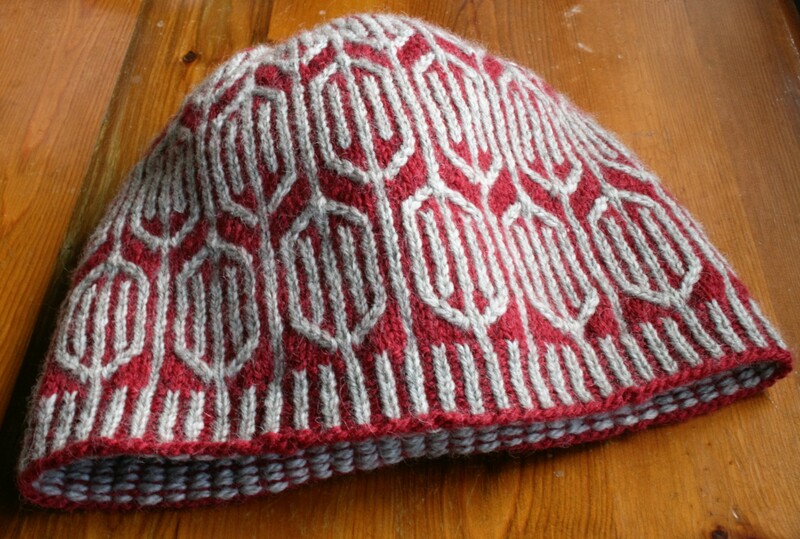 I got a kit of two shades of Buachaille yarn to make a Funyin hat at Edinburgh Yarn Festival and this seemed like the perfect option. 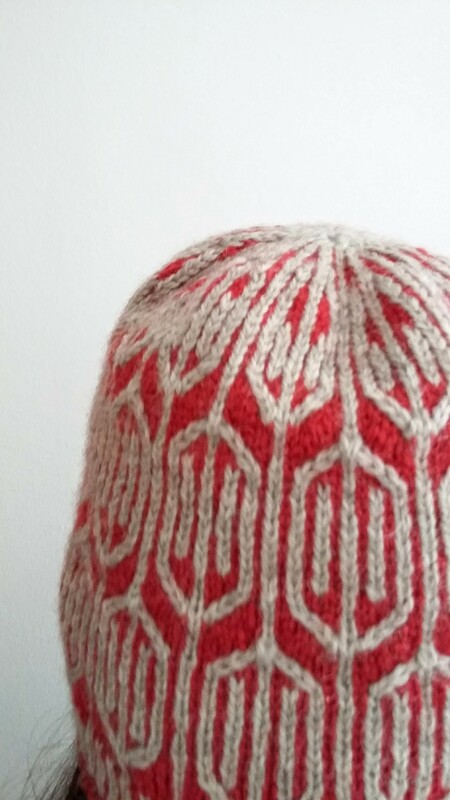 I love the combination of colourwork and cables in this pattern, it makes for a very interesting knit, although not a particularly fast one. The corrugated rib was particularly slow to work. 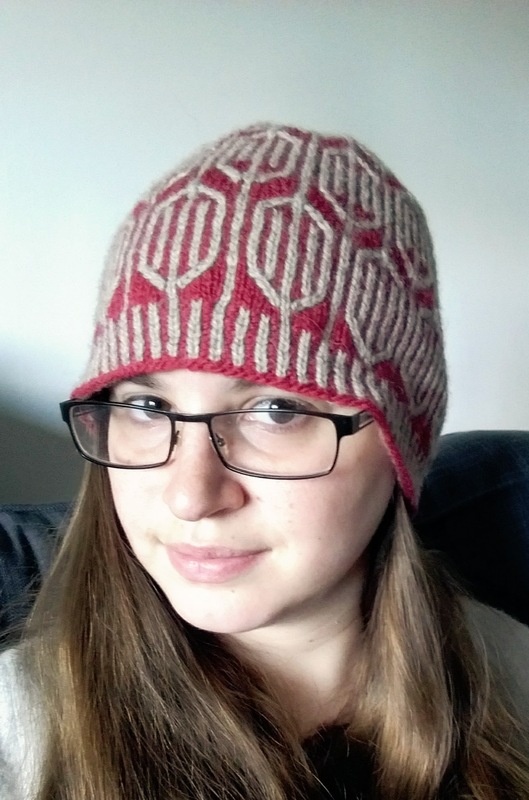 The Buachaille yarn was designed by Kate Davies, the designer of the pattern, and so they work really well together. All the colours are based on the scottish landscape and I used haar (the pale grey), a cold sea fog, and macallum (the pinky red), which is apparently a scottish ice cream with raspberry sauce. The pattern was designed with the lighter colour as the background, but I decided to swap this and I really like how it looks. The yarn is very woolly and smells gorgeous. I made the large size as I prefer my hats to cover my ears and I’ve found previous Kate Davies patterns aren’t quite long enough for me. However, if I were to make it again I would skip the extra length rounds as the slouchy top is quite stiff and has a habit of standing up. Nevertheless, I’m sure it’ll come in handy now the weather has turned rather cold and I’m really pleased with it.